Obregonia (syn. 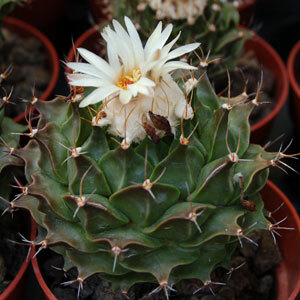 Strombocactus) is a cactus genus with only one species, Obregonia denegrii. 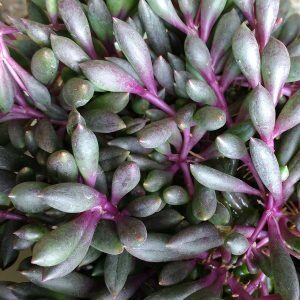 These plants are native to Mexico (Tamaulipas). 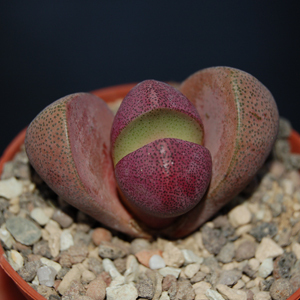 Obregonia denegrii does not have a typical cactus shape which provides a nice variation in your collection. The flowers are white. 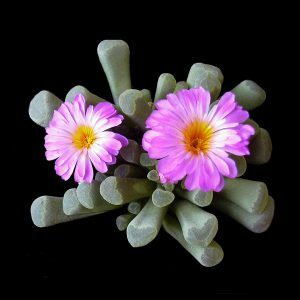 Cultivation is not too difficult if you give them a mineral cactus soil and plenty of sun. They are sensitive to rot. Best is to water from beneath to prevent any remaining water between the scales. Maintain a minimum temperature of 10 °C in winter and do not water while the plant is in rest.